Gable Conservatories Let In Lots Of because the gable conservatories ridge continues right to the end of the conservatory meaning the front elevation extends straight up and subsequently allowing alot of light in. Due to the gable conservatories standard square shape it utilizes the available space very effectively. Gable Conservatories Are Practical . Most rooms are square or rectangular in shape and therefore most furniture is designed to accommodate that. 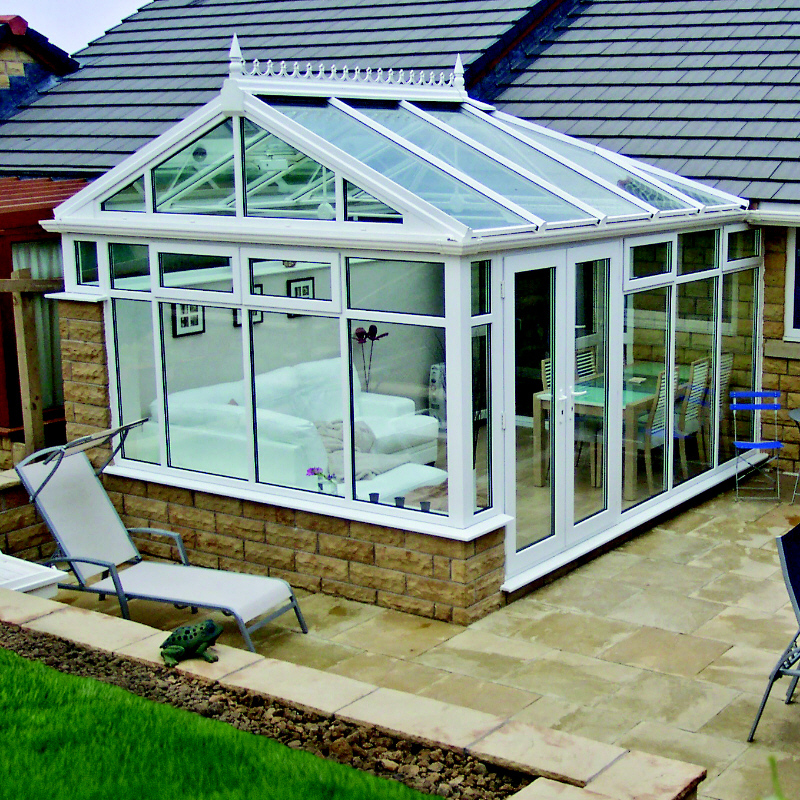 A gable conservatories standard square shape allows for standard furniture to be used in it. If you have any questions please do not hesitate to contact us today and we will be more than happy to assist you in any way we can.